OLD PARKED CARS. 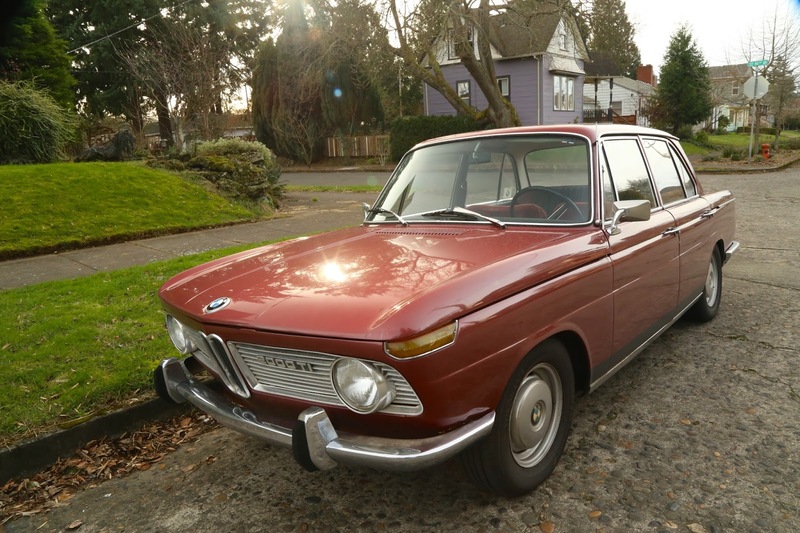 : 1966 BMW 2000 TI. Hubba hubba! This baby is MINT! Wow. 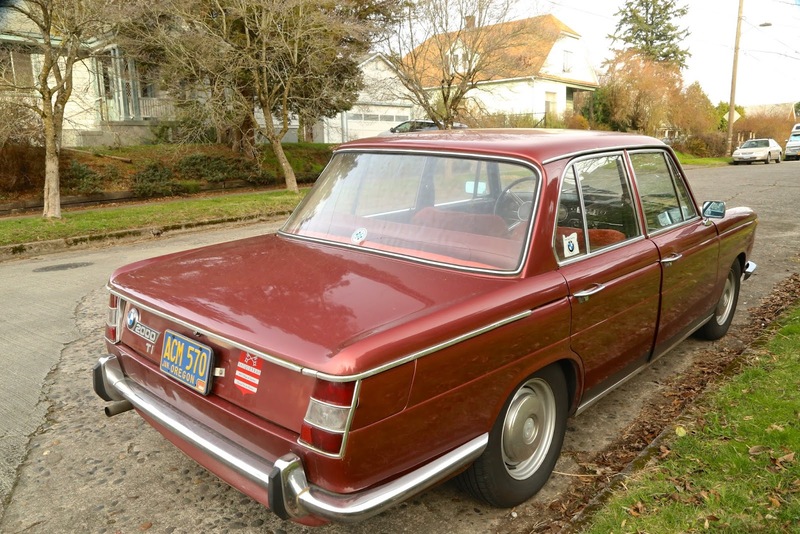 And with original hubcaps. Very nice. The Discreet Charm of the Bourgeoisie? 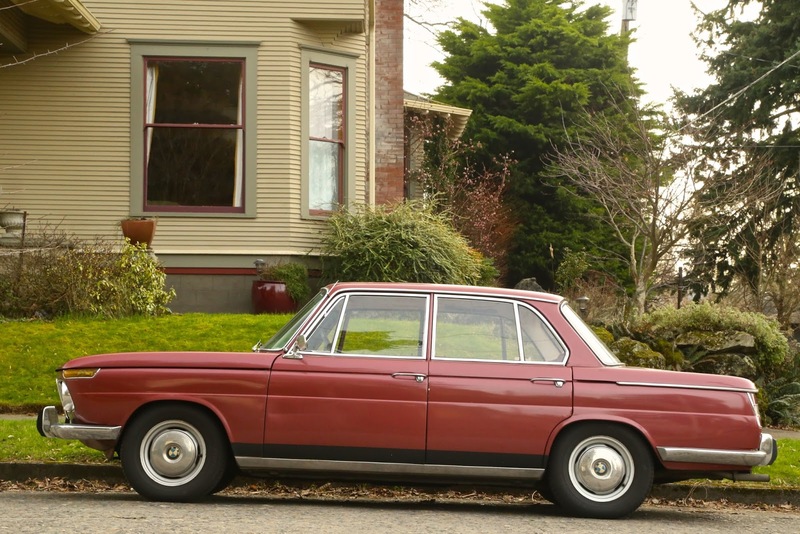 Like the front shot with the purple house in the background & the sun shining onto the hood. In the rear shot you can see one hell of a panel gap between the doors.